EXCLUSIVE: U turn on DPA’s. SFO Director points to concerns over lack of incentives for DPA’s while Sir Brian Leveson says DPA companies entitled to bigger discounts. 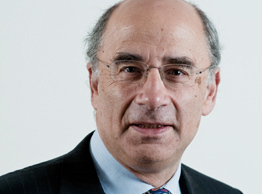 Companies entering into DPA’s following a Self Report should receive much more than a 1/3 discount said Sir Brian Leveson PC QC speaking last week at the C5 Conference in London, probably the leading anti-corruption conference outside of the US. In other words the DPA Code envisages that companies seeking a DPA could expect the same financial penalty in a DPA as they might if they pleaded guilty. Under the Sentencing Guidelines for bribery a defendant is entitled to a 1/3 discount on their sentence if they plead guilty at the earliest opportunity. In fact, if history were to be the judge, following the (very) limited examples (three cases) since the new Sentencing Guidelines, companies might anticipate a worse financial outcome (excluding the lack of a conviction). Under its DPA Standard Bank which was an exemplar of co-operation received a 1/3 discount in its DPA, ongoing obligations in the context of cooperation with law enforcement and a mandatory compliance audit to be performed by PWC plus a 300% multiplier. In contrast Sweett (which Barry represented with Anne-Marie Ottaway at Pinsent Masons) which was not given a DPA received a 1/3 discount on its Guilty Plea of failing to prevent bribery at the earliest opportunity in the proceedings. Exactly the same discount as Standard Bank. On top of this Sweett received a lower multiplier (250%). There are no ongoing obligations imposed on Sweett by the court. Smith & Ouzman – which readers will recall ran a fully contested trial – received a 300% multiplier (and likewise no ongoing obligations). Recent public SFO statements have pushed the advantage of a DPA as being the lack of a criminal conviction. This meant companies were faced with turning a contingent liability (namely a bribery act violation which they hoped would remain undetected) into a non contingent liability (by telling the authorities of the violation) with no economic upside. While we don’t know actual numbers – requests by us under the Freedom of Information Act for details of the number of companies which have self reported have been met with rejection. We can perhaps surmise that companies may not have been forming an orderly queue outside the SFO offices. For most companies the truth is probably that the “carrot” of exactly the same penalty as they would receive if they did not self report was never going to be enough (absent very specific case circumstances) to tip the balance in favour of Self Reporting. Going forward companies who Self Report can expect to reap a material and specific financial discount by Self Reporting. During his Q&A at the C5 conference David Green CB QC said that he was troubled that there were not enough incentives for companies who would Self Report and seek DPA’s. Barry echoed these sentiments (which we have previously expressed on this site and elsewhere, including to the SFO Director) on a panel in which he participated which contrasted the benefits of DPA’s versus guilty pleas in the wake of Standard Bank and Sweett Group. In short, Barry argued without a discount in financial penalty for Self Reporting most companies might choose to cross their fingers and hope to avoid detection. This, Barry said, was in no-one’s interest. On the contrary surely the interests of fairness (and justice) penalties for companies who Self Report and are lucky enough to “win” a DPA should be less than those who do not. Sir Brian Leveson PC QC agreed. Speaking last week at the C5 conference Sir Brian confirmed that companies who are entitled to a DPA following a Self Report are entitled to much more than 1/3 discount. With the caveat that he was not expressing a judicial opinion; one of the most senior judges in the land, the Head of the Queens Bench Division, the first judge to rule on a DPA (which was widely heralded as a precedent for those to follow) and seasoned criminal advocate, went on to say that it was entirely open to those negotiating DPA’s with the SFO to argue that their client(s) are entitled to much more than a 1/3 discount. He went further adding that it could properly be argued to affect the financial quantum of any penalty. Sir Brian said he was not seeking in any way to step in between the SFO and any company negotiating with it and went on to say that he saw the argument as valid and was entirely comfortable that those negotiating should seek a further discount on the basis that the Self Report (and admission) would take place long before any guilty plea at the first opportunity in court. Answering a question Sir Brian also confirmed that a company under new management could still qualify for a DPA even if before the new brooms enter the scene there has been a history of non co-operation. Some have questioned how Sir Brian could suggest a bigger discount. Likewise the Sentencing Guidelines offer discretion in particular in at step 5 where the court is asked to “Step Back” and consider the fine in the round. The good news is that, as we have always thought, as the SFO and the Courts learn and get comfortable with DPA’s the position will move to a more balanced approach. It will be important for companies to conduct themselves in a way which qualifies them to be invited for a DPA by the SFO in the first place and negotiations will need to be conducted sensitively. In summary, going forward, anyone negotiating a DPA should dig their heels in and seek a big discount from the SFO. Likewise, if a company has a bad track record of cooperation and appoints new management, all may not be lost and a DPA could still be on the cards. It looks as though common sense is about to prevail.